70% of people are wearing the wrong foundation right now. Don’t be one of them! 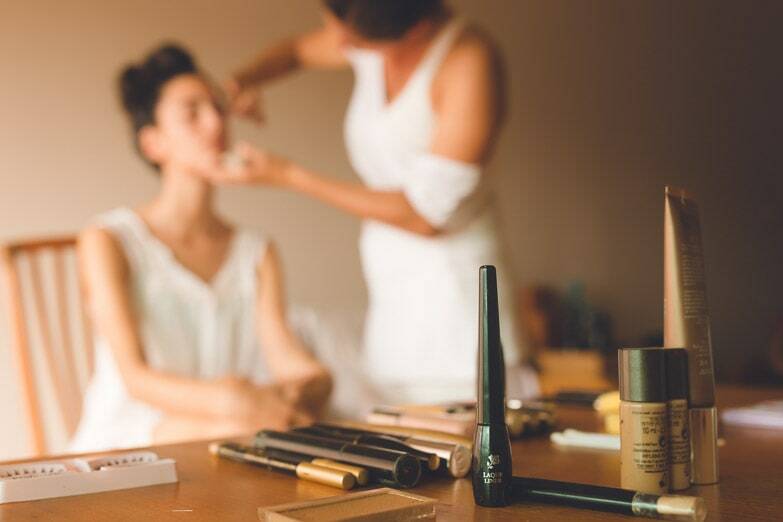 Have a professional match you perfectly to your favorite brand (or their recommendation for a long lasting foundation) to ensure that you look flawless on your big day. There may be tears so don’t just make sure your mascara is waterproof. Choose a long lasting, waterproof eyeliner and, if possible, a foundation too. The last thing you want to have is a dark, dramatic smoky eye. Stick with neutral colors and a shade of lipstick that compliments you. Use make-up to enhance your beauty, not to cover it up. Tightlining makes your lashes look more full without a full eyeliner on the top lid. Use this technique if you will not be wearing much make-up. Practice by gently lifting your eyelid to expose the lash line and apply eyeliner at the very base of your lashes. If you don’t usually do this in your daily life, why start on your wedding? Leave the spray-tanning for the honeymoon because you don’t know if you’ll have an allergic reaction, look too dark, etc. If you still want to try it, make sure you have a trial a couple months before your wedding day just to make sure of the result. 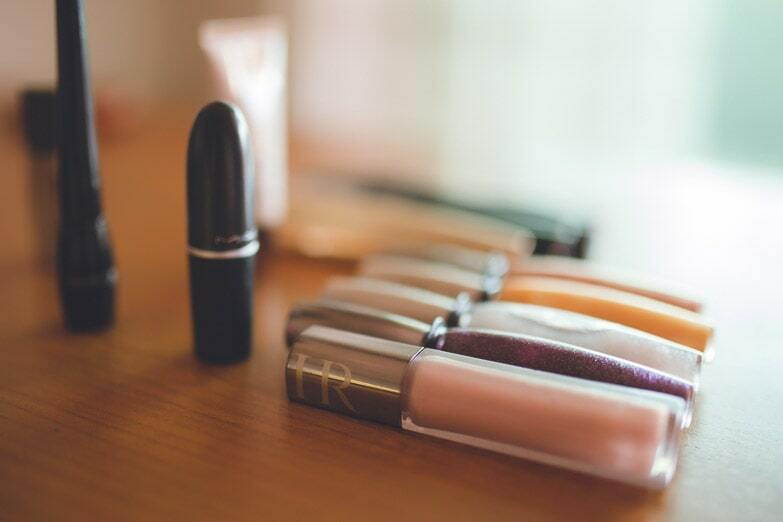 Make sure you pack your lipstick in your clutch before you leave your house for any touch ups before photos or the reception. Practice, Practice, Practice on your Make-Up! Don’t wait until the big day to decide on what colors of blush and eyeshadow to use. Try out a couple different looks and ask honest friends for their opinion on your finished product. Also by taking a picture of yourself wearing different makeups will help you decide which one to wear, since you are able to see them all together. 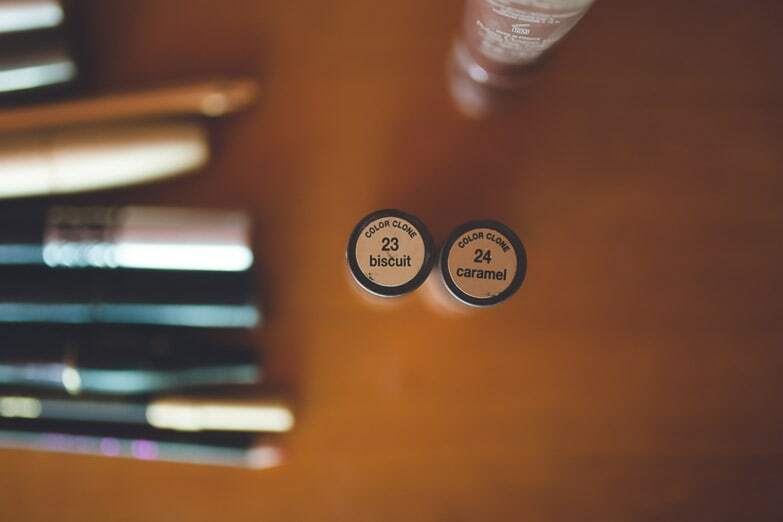 Communicate with them so that you know your make-up will all be uniform; you don’t want someone distracting from your big day with a bright red lip when everybody else is wearing soft makeup. Same thing happens with hairstyles, you can discuss with them which styles you like and which ones they will feel comfortable in. This is a big no-no in the weeks leading up to your wedding. 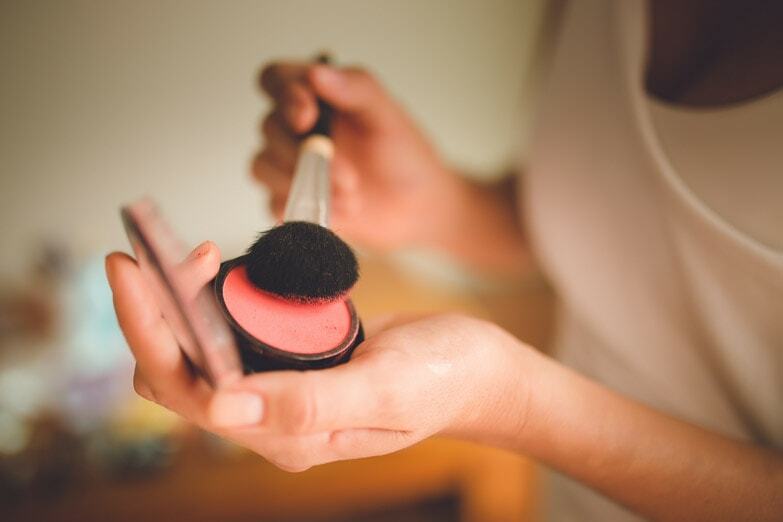 If you must change it, make sure your make-up still settles properly and that there are no allergic reactions or breakouts. Wax your eyebrows or face at least five days prior to your wedding; you shouldn’t apply any make-up to the waxed area for at least 24-hours and that will give the skin time to heal and the redness to fade away. Do you have your own make-up tips? Share them with the brides writing a comment below.